Noted Route 66 authority and artist Jerry McClanahan will be unveiling his latest painting at Gary Turner’s Gay Parita Station near Halltown, MO on historic Route 66 on Saturday May 17, 2014. CRUISING ON THE BAGNELL DAM STRIP IN LAKE OZARK, MO. This entry was posted on Monday, March 17th, 2014 at 12:30 am and is filed under Uncategorized. You can follow any responses to this entry through the RSS 2.0 feed. You can leave a response, or trackback from your own site. 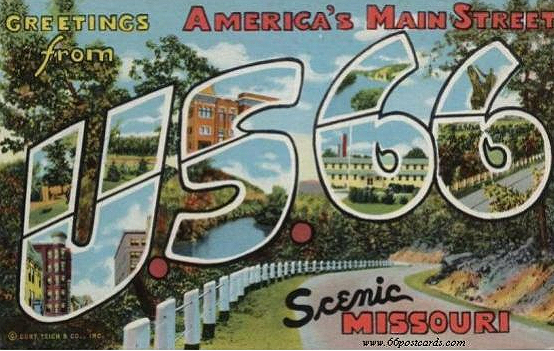 Click to follow the Route 66 Association of Missouri and receive notifications of new posts by email.